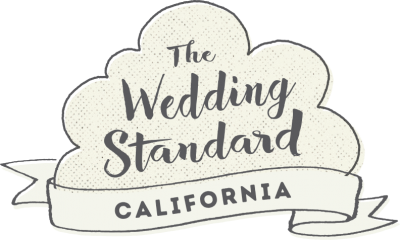 A romantic wedding at Cali Paso Winery in beautiful California wine country is the perfect Paso Robles wedding venue that transports one back to the Italian countryside with its rustic charm. 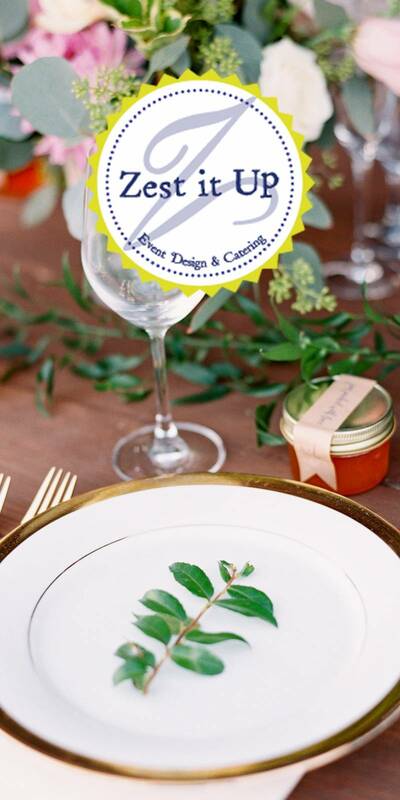 With inspiration stemming from a backyard olive tree, the beautiful color palette, unique calligraphy invitations, and amazing florals all made this wedding special. 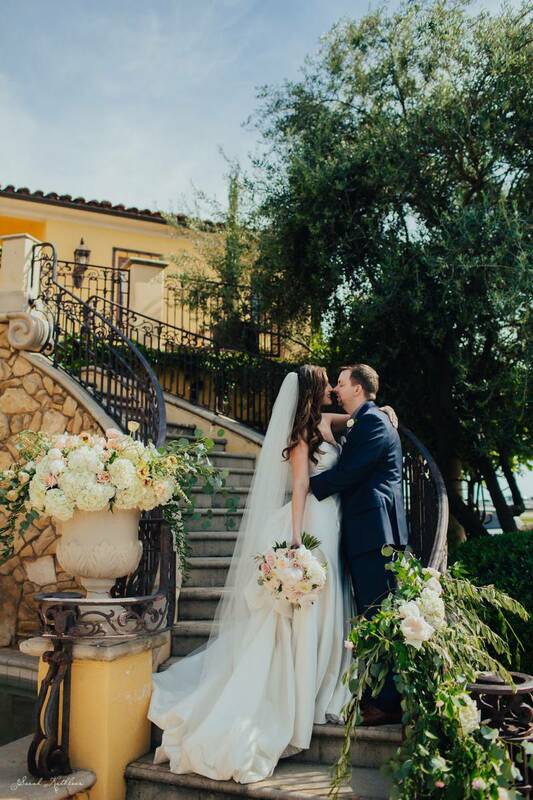 Sarah Kathleen of Sarah Kathleen Photography artfully captured the bride and grooms immense love for each other and the emotional intimate moments in beautiful photographs to last forever. Geoff and I met online. We had our first date and Geoff made me laugh more than anyone else in the entire world. After sharing our mutual love for dogs, ice cream and the Golden State Warriors we realized that we were meant to be. Geoff proposed after a year and a half with the help of our little dogs. 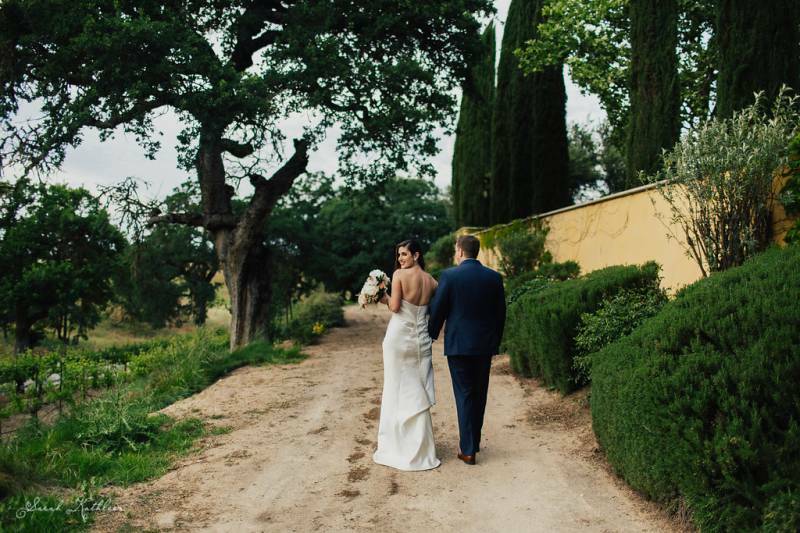 We wanted a romantic vibe and CaliPaso Winery was the perfect venue to get married. We have an olive tree in our backyard and wanted to draw inspiration from olive branches through our flowers and calligraphy. 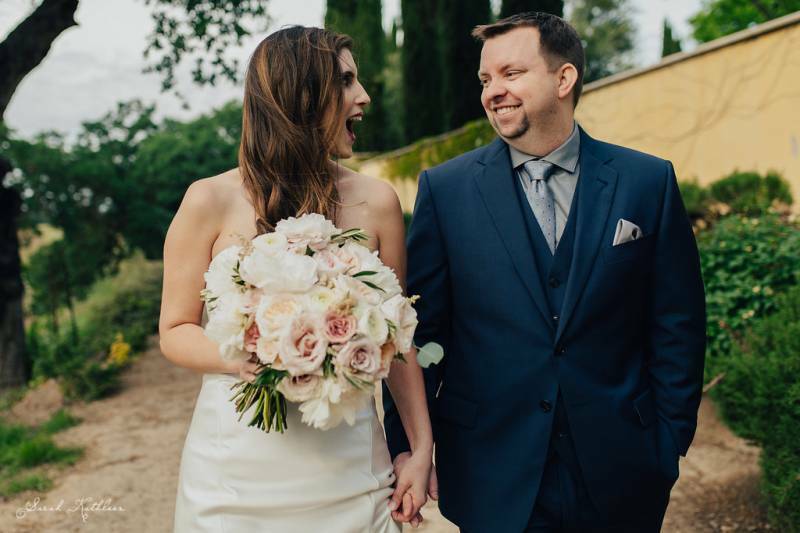 The flowers and photos were the most important details from our wedding. Our photos are so beautiful and provide such great memories. Our flowers were stunning. I remember crying when I was shown my bouquet! Olive green and various green shades, gold, blush, and cream. Our vows were quick but memorable. We were surrounded by our loved ones, but the moment was very intimate. I don't think we'll ever forget them. Sarah Kathleen-her photos were beyond gorgeous! April Flowers-her flowers were so special and perfect! Ciel Bleu-tied everything together for us! She reduced all the stress from our wedding day! Hire a wedding planner. Yes, it's an additional expense, but it is such a blessing to have someone that has experience planning one of the most important (and expensive) days of your life. Try to enjoy everything. I scoffed when people told me that since the whole planning process can be stressful and time-consuming. Just know that you're doing all of this work for a reason-to marry your best friend. Sarah Kathleen of Sarah Kathleen Photography beautifully captured every moment of the day. 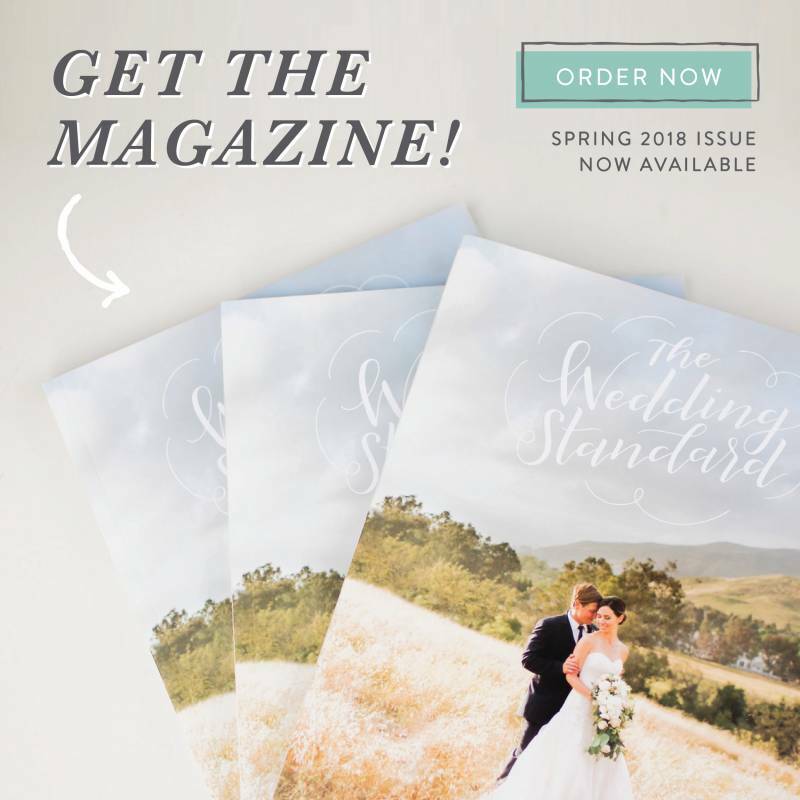 Here is what she had to say: "I knew family and celebration were a huge part of their wedding day, so I focused on capturing the relationships and emotions that were ripe with love and joy."